Dumpster rooms are frequently located in close proximity to stores and the foul odors can filter into the store or business. 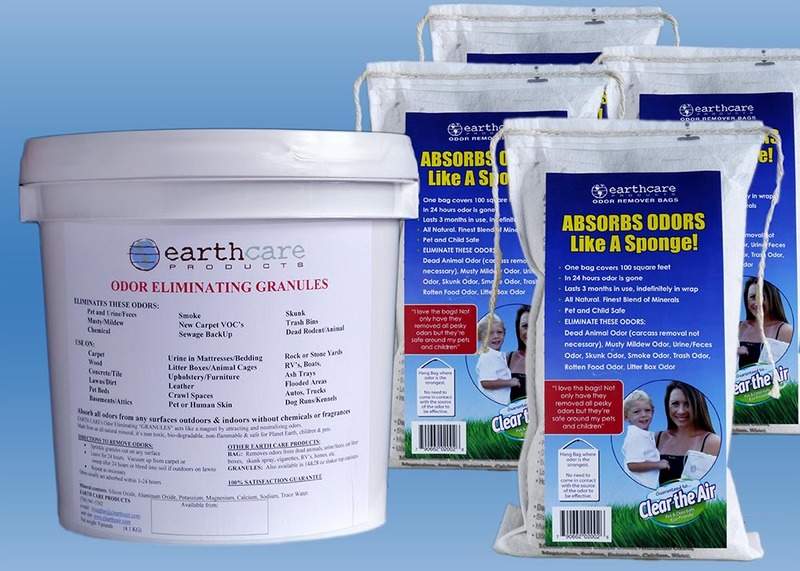 Earth Care Odor Remover Bags are used by Pest Control Professionals to remove dumpster smells. Trash room odor control is easy when you use our dumpster odor eliminator products. 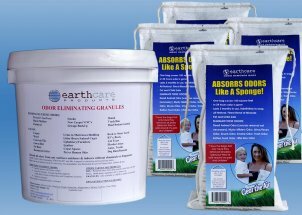 This unique form of Earth Care Products Mineral does not have to come into contact with the odor producer; it will pull the odors from the entire area. Clear The Air draws in odors like a powerful magnet. The odors are absorbed, and neutralized without any fragrances. Clear The Air does not cover up odors; it literally "clears the air" leaving the air fresh and clean. The all natural odor removers are non toxic and biodegradable and safe for Planet Earth. Hang 2 bags for each dumpster. Odors will be eliminated in 24 hours. Bags will continue to eliminate odors. Change bags once per month. Sprinkle 2-4 cups of granules over top of trash in dumpster. Add more as needed, typically once per day, depending on type of trash. Click Here to learn more about removing odors from dumpster rooms.